The Church of the Savior on Spilled Blood, located in the centre of St. Petersburg, is a must-visit location in the Russian capital. In this post I’ll explain more about the history of this church, their visit schedules, how to buy tickets online and how to admire this beautiful church from the canals of the city through a boat ride. The Church of the Savior on Spilled Blood of St. Petersburg, also known as the Church or Cathedral of the Resurrection of Christ, is a must-see site, if you are traveling to St. Petersburg. It is one of the main churches of the Russian capital, built in the place where Tsar Alexander II of Russia was murdered on March 13th, 1881, victim of an attempt. The Church is located in a centric location of the capital, on the banks of the Griboedov Canal and very close to the park of the Russian State Museum and Nevsky Avenue. The height of the temple is 81 meters and has a capacity of up to 1,600 peoples. The construction of the church began in 1883 during the reign of Alexander III, a commemoration for his father, who was killed in that same place two years before. The church was designed jointly by architect Alfred Parland and archimandrite Ignati, rector of the Troitse-Serguievsky monastery. The works ended under the reign of Nicholas II, in 1907, and the necessary funds came from the coffers of the imperial family and numerous private donations. In World War II, during the blockade of Leningrad (the city’s former name), a bomb fell on top of the church’s highest dome, though it did not explode, and it was found and removed almost 20 years later. It was then decided to carry out the church restoration, and after 27 years (in the mid-90s) it was inaugurated as a state museum where you can learn about the murder of Tsar Alexander II. The architecture of the Church, Russian style and with its multicolored decoration, make it a very prominent point of the environment of the centre of the city, next to the Griboedov Canal. It is formed of five copper-colored and enameled domes of different colors, which are reminiscent of the domes of St. Basil’s Cathedral in Moscow. Inside, you can see one of the largest collections of monumental mosaics in Europe (more than 600 mosaics of icons and images), created by 32 artists. On the roof of the dome you can see the mosaic image of Christ Pantocrator. The Church of the Savior on Spilled Blood of St. Petersburg opens every day from 10:30 a.m. to 6:00 p.m. (closed on Wednesdays), though from April 27 to September 30 it extends its schedule until 10:30 p.m. The visit usually takes less than 1 hour. It is currently open for tourist visits (not for worship). 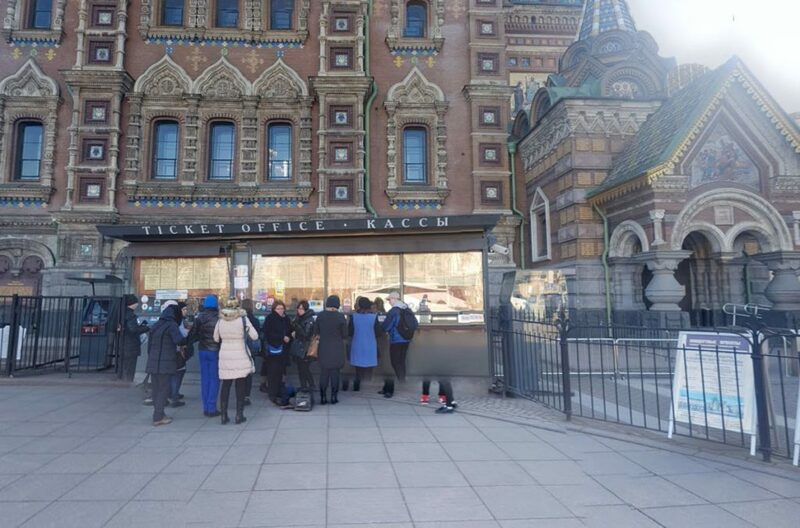 The entrance to the church costs 250 rubles for adults, 50 rubles for young people between 7 and 18 years, and it’s free for children under 7 years old. 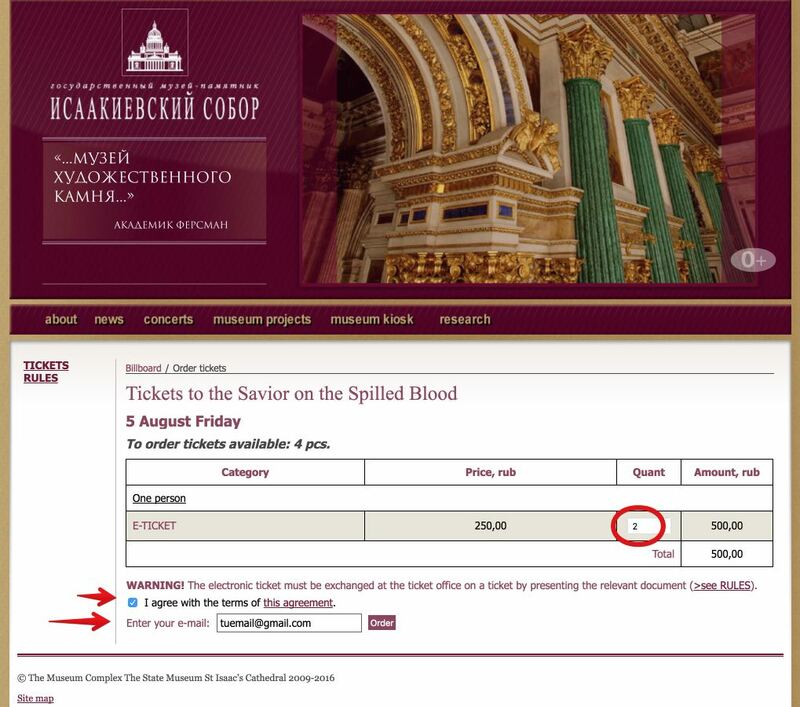 In addition, for 200 rubles you can rent an audio guide in the same cathedral. 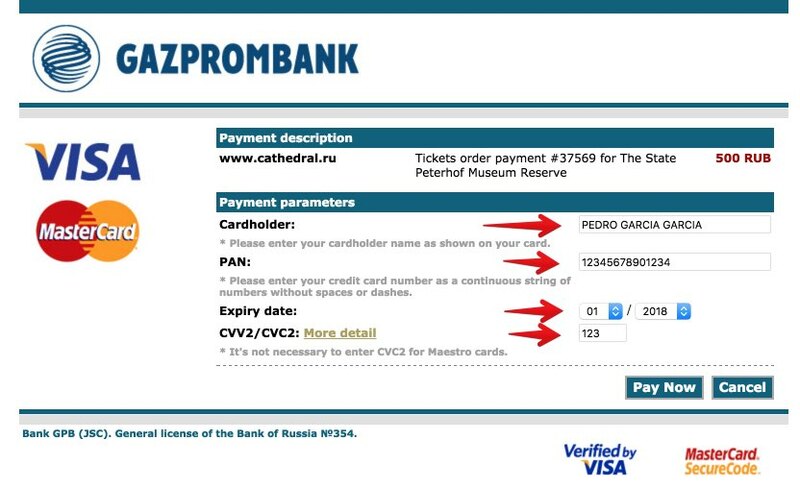 In the ticket offices of the Church itself (250 rubles). In summer, weekends and holidays it is easy to find queues at rush hour in the morning. However, the rest of the year there are usually no long lines. In the official website: http://isaak.ticketnet.ru/en/ (250 rubles). Tickets are put up for sale 30 days in advance. 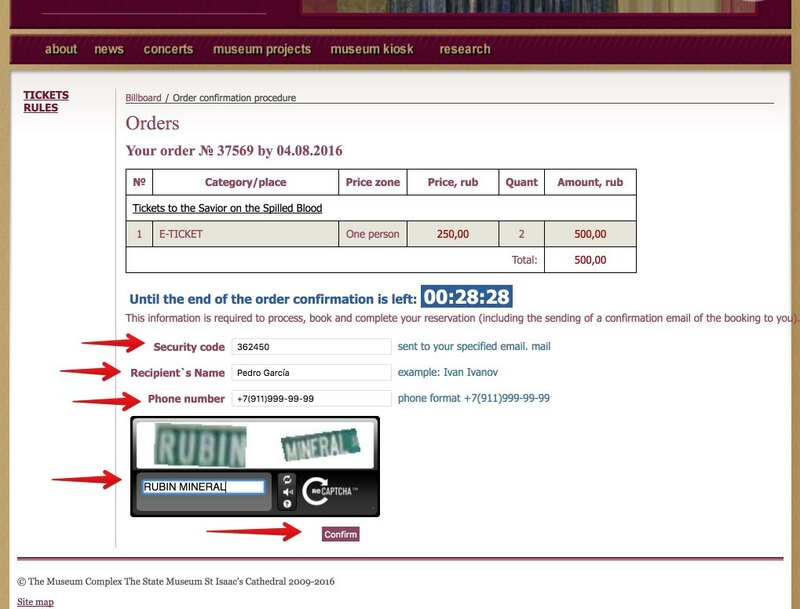 A maximum of 4 tickets can be purchased at the same time. 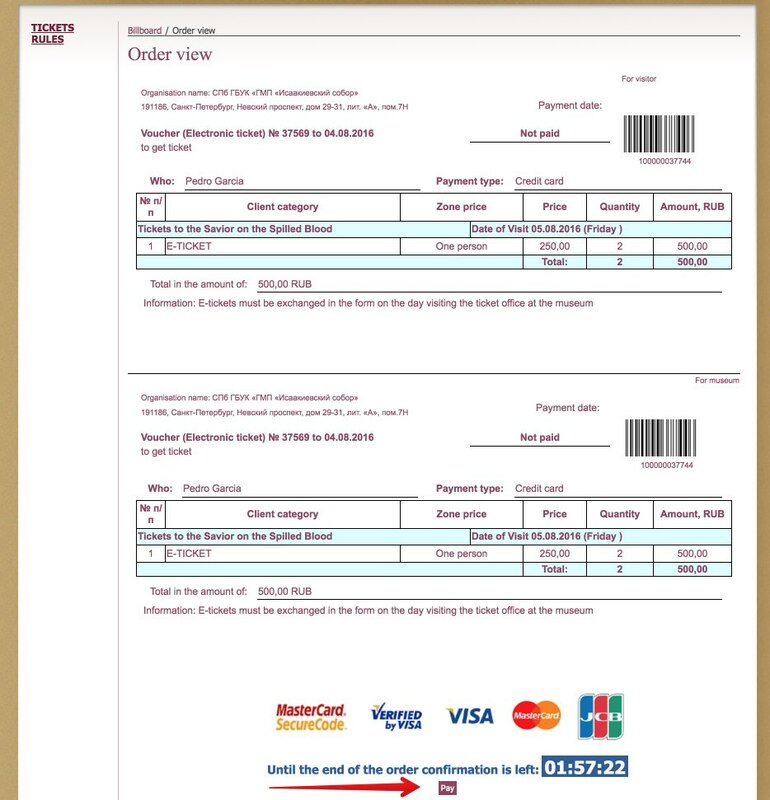 Once the payment is made, you will receive a voucher by e-mail that you must print and exchange it on the day of the visit at the ticket office number 1, or at the automatic vending machines next to the ticket offices. It is only possible to buy normal tickets. The reduced priced ones must be acquired in ticket offices. 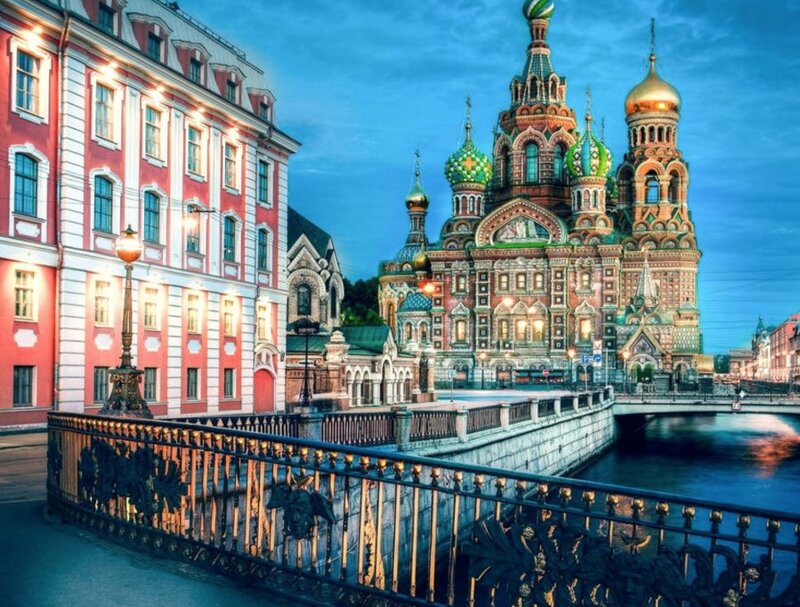 After visiting the Church of the Savior on Spilled Blood, it is a good time to take a tour through the canals of St. Petersburg, to see this impressive church from another perspective. During the visit by boat, in addition to the Church of the Savior on Spilled Blood, you can see palaces and nobility mansions, the Mariinsky Theater building, the artificial New Holland island, the renovated Chinezelli circus, the gold-plated spire of the Peter and Paul’s Cathedral and the granite walls of the Peter and Paul’s Fortress. 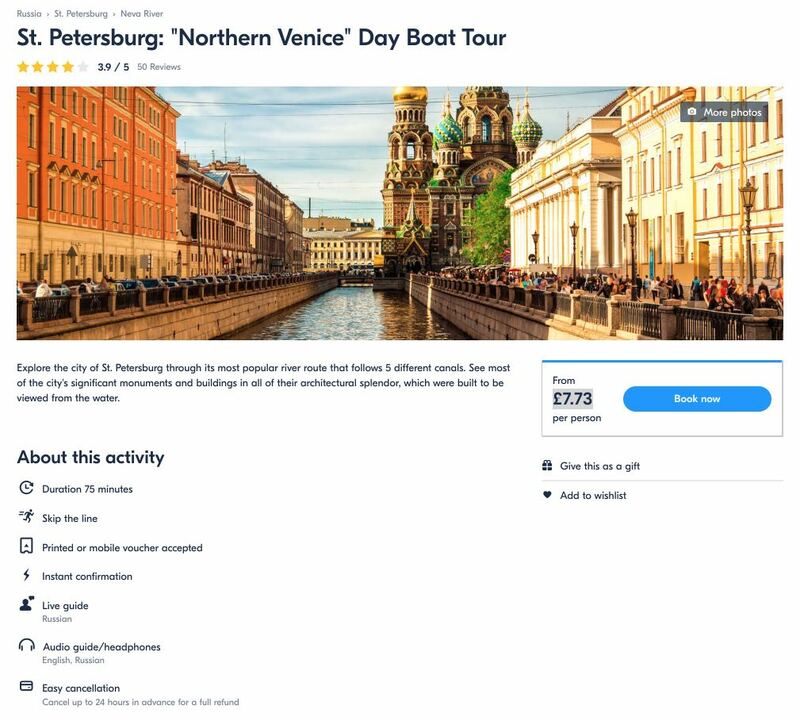 The boat trip, which lasts 1 hour and 15 minutes, departs from Fontanka 53, very close to the Lomonosov Bridge and it’s around 15 minutes by foot from the Church of the Savior. 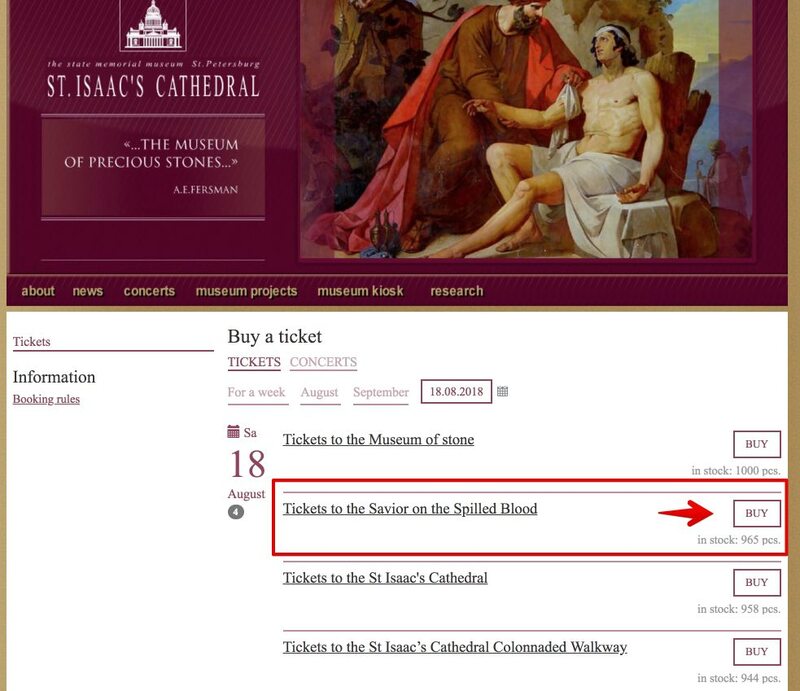 It costs 10 USD and you can buy the ticket online from the GetYourGuide platform. 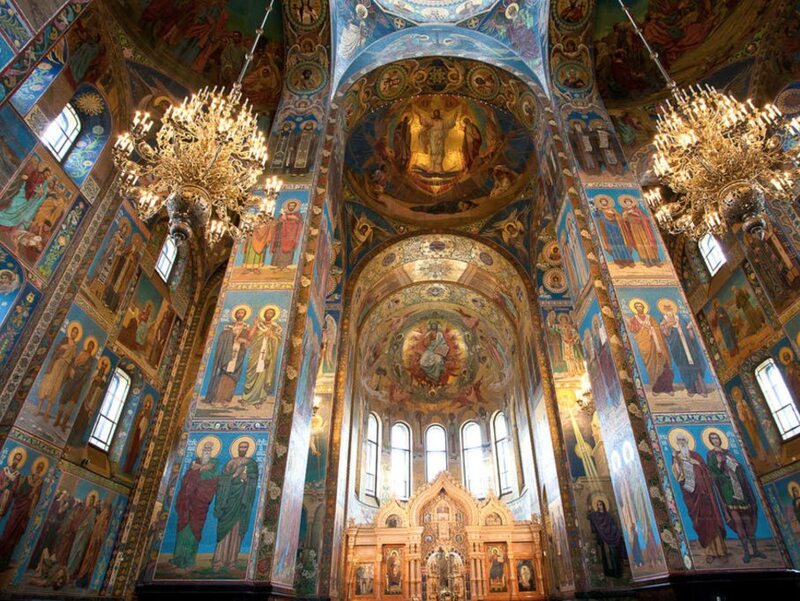 Have you visited the Church of the Savior on Spilled Blood in St. Petersburg?